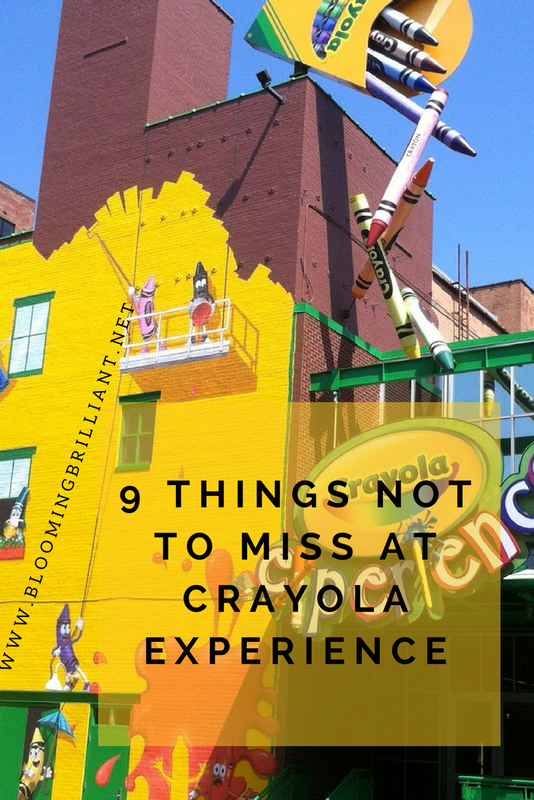 We recently went on a trip to Crayola Experience in Easton, PA. Did you know that Crayola Experience in Easton, PA is the original factory where Crayola began? We are absolutely obsessed with Crayola it is the only crayon we use here in our home, not to mention all the other amazing products they have like colored pencils, markers, paints, and modeling clay! I could go on and on, but if you too are a parent then you know the magic Crayola brings to a child’s life. 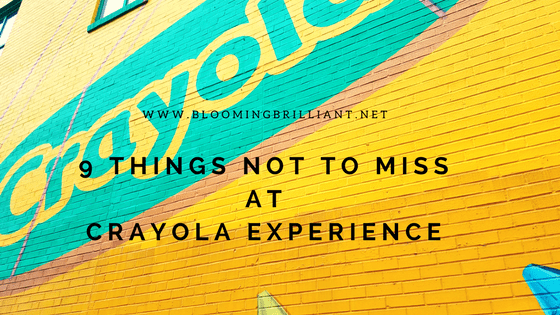 We spent the day at Crayola Experience and it was so much fun! Four floors jam packed with exciting creative adventures. We had fun at each and every exhibit but we created a list of ones you simply can not miss! Do not miss this live show which goes through how crayons are made. It was so much fun to see how crayons come into the world and you learn a little bit about the history of crayons as well. Plus there is an extra treat you can not miss as you leave the show. This was something that we looked forward to. Create your very own Crayola label and wrap your own crayon! We made one for Blooming Brilliant and the kids made their own too. If your kids love to create with clay then they are bound to love Modeling Madness. They can Sculpt colorful Model Magic creations to bring home. Color and create a paper creation and watch as your paper creation turns, bops and rocks to music. Ever want to play with a super big water table? Check out Crayola’s 85-foot long water table where you can maneuver and splash your boat all the way a long. This new exhibit is so fun. There is trouble in the color lab. Grab a tablet at the station outside and go on a mission through 12 stations in the adventure lab. Will you be able to save the day? Create a swirly masterpiece with melted crayon wax. Control how fast or slow your disk spins. Paint a picture in a whole new way, with melted crayons! Melt your crayon into a Crayola Experience keepsake. Get $5.00 off your tickets and get an exclusive discount for August and September!